Queen Elizabeth II and Prince Philip arriving on one of their royal visits. 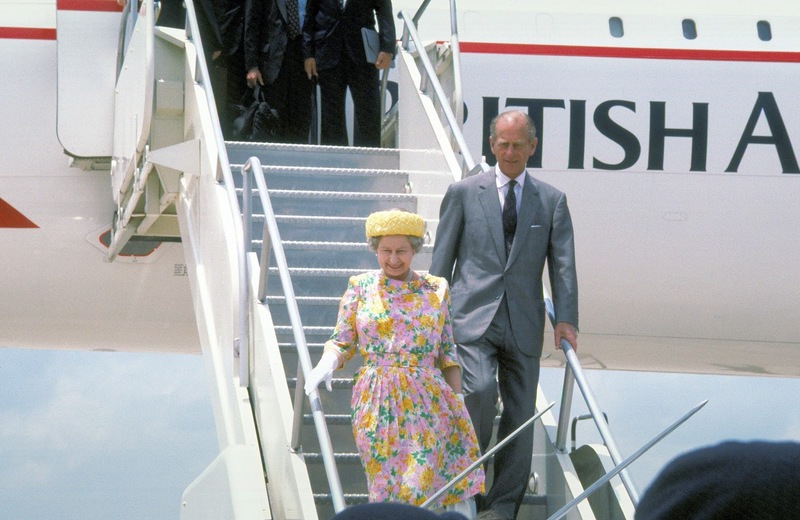 Although the Queen went to Greece as a young woman, she had never made any official visit to the country. There are two assumptions: first is the Greek monarchy's uncomfortable history; second, the Queen was never formally invited by the Greek government. "Prince Philip doesn't like Greece, because they put his father [Prince Andrew] on trial, and he might have been executed,” Royal historian Hugo Vickers explained in an interview with BBC. Greece's disastrous defeat in the Greco-Turkish in 1922 led to a military revolt, which forced the Royal Family to flee Greece. Prince Philip was only 18 months old at that time but since then, he has seldom visited his country of birth. Vickers believes that the past circumstances his family had endured in the past had made it difficult for the Queen and for the Duke of Edinburgh to make any visit, even on an official capacity. The royal biographer also suspects no trip has been made to Greece by the Queen because she was never invited by any Greek president.